Elegant light gold evening sandals with diamante detailing at the toe and ankle. 3" heel. 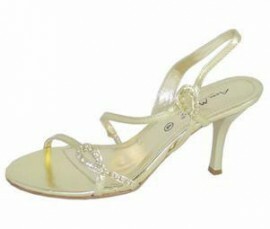 Gold evening sandals are perfect for those special occasions and party nights.